The new strategy is part of Ingka Centres’ journey to create new meeting places that feature powerful retail attractions, but go far beyond shopping: IKEA-anchored destinations, rooted in IKEA values that serve the needs of their local communities – places in which people want to spend time, where they can connect, socialize, shop, work, and enjoy new experiences. The company currently operates 45 centers in 12 different European markets, plus Russia and China, which welcome 480 million visitors annually. However, this number is set to increase to 70 locations by 2025, thereby hosting a billion visitors and enabling international brands to reach millions more consumers across the world. Ingka Centres is introducing new concepts, entering new markets, upgrading its existing portfolio, and embracing the digitalization of retail. For the first time, Ingka Centres has taken its meeting place concepts to city centers, beyond the edges of cities, where they have traditionally been located. It has targeted 30 major cities in Europe, Russia, Asia, North America, and Oceania, investing €3 bn in the delivery of these IKEA-anchored urban centers. 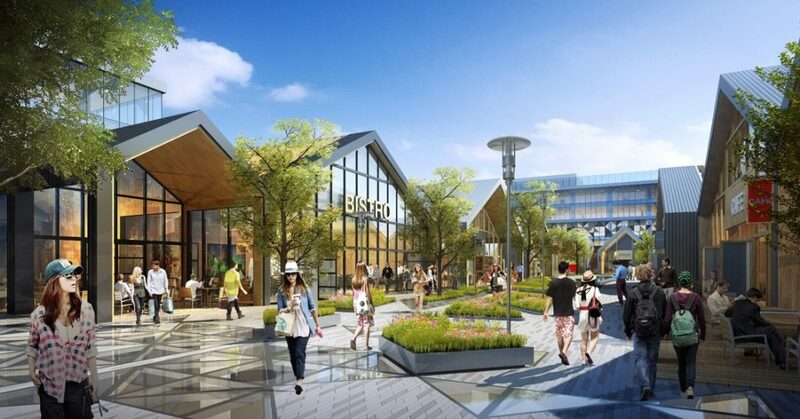 They will be mixed-use community destinations that may include retail, leisure and entertainment areas, health and education services, as well as community spaces, depending on their location and surrounding demographic. Creating these urban concepts is Ingka Centres’ response to the trend of people increasingly living in city centers and the company’s aim to be closer to the masses. It is following its partners and customers to design, develop, and open these new destinations within their city centers, becoming more accessible to them than ever before. Individual community needs and partnerships will serve as the starting point for the development of each IKEA-inspired urban meeting place. The first urban concept to be delivered will be in the Linkong district of Shanghai in China. Construction has already started on this €1 billion urban meeting place, which represents Ingka Group’s largest ever investment in a single project. 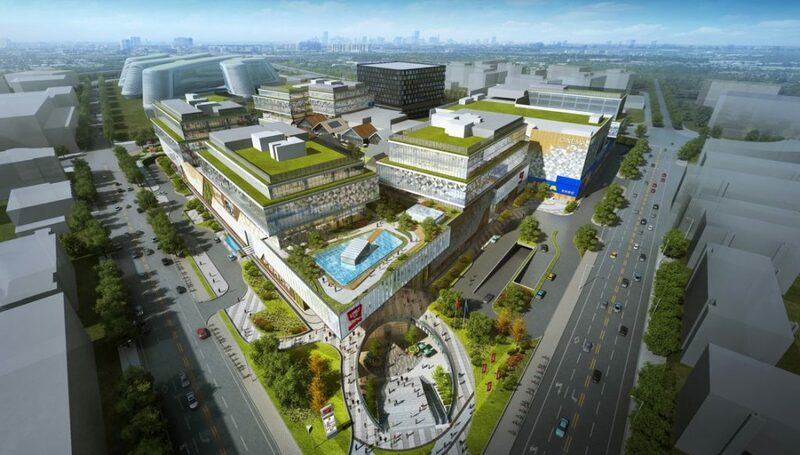 The 300,000-square-meter GBA mixed-use scheme is scheduled for completion in 2022 and will include 300 stores as well as some public spaces, such as a 1,000-square-meter public citizen plaza, a roof garden, a Scandinavian-style street, a public parking lot, and a self-service bike-parking system; an IKEA store and 5 office towers will also be featured. In another major move, the company has entered India for the first time, creating places for “the masses” in this market of 1.32 bn people. Ingka Centres is analyzing potential locations in different big cities around the country, following IKEA retail, which opened its first store in Hyderabad in August 2018. “There will not be a one-size-fits-all format for these IKEA-anchored destinations – city center, suburban, and edge of town locations are all being considered, depending on local demographics,” said Gerard Groener, Ingka Centres Managing Director. India presents a tremendous opportunity, with rising consumer demand for shopping, leisure, experiences, and social spaces. This is supported by a fast-growing middle class and public investment in infrastructure. The company has also ramped up its investment in China, continuing to expand in this major market. It is investing around €2 bn to launch three new mixed-use projects in Changsha and Xi’an as well as the project in Linkong in Shanghai. These meeting places will have a combined GLA of 450,000 sq m and will include office towers, IKEA-inspired apartments, leisure, entertainment, community spaces, and IKEA stores. They will serve as new destinations for meeting, shopping, living, and working, with designs that reflect Ingka Centres’ Swedish roots and values. But Ingka Centres is not solely focused on new projects and markets – it is upgrading its existing centers to ensure they also become next-generation meeting places. It is undertaking extensive upgrades, expansions, and refurbishment programs across its portfolio in Russia and Europe, incorporating new food and beverage areas, parks, playgrounds, community and event spaces, flexible workspace, alfresco dining, cinemas, ice rinks, and a range of other amenities.